At Mountaineer Plumbers, we provide quality pipe repair and repiping services. We understand that leaking pipes can cause major water damage of your home or business exterior and interior. We offer quick and reliable services to remedy your broken or leaking pipes. Our technicians have years of experience replacing and repairing pipes throughout the West Virginia. Repairing or replacing pipes on your own is a very confusing process that, if done incorrectly, can lead to further damage. If you have a leak, or believe your pipe has ruptured, we will send one of our technicians out as soon as possible to keep it from causing damage to your home or business. Our professionals not only have the tools and experience necessary to repair even the most complex piping issues, they can also install new plumbing in the event that your old system has become unusable. 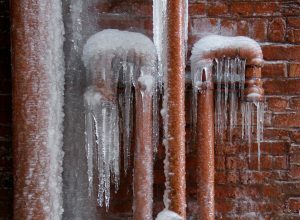 West Virginia weather includes extreme cold temperatures with wind chills that can cause significant damage to your plumbing system in the form of frozen pipes. Bargain Plumbing and Heating can help you deal with your frozen pipes as well as the damages they may have caused to your whole plumbing system. When you contact us for your frozen pipes, you can trust that our plumbers act quickly and efficiently to restore the water flow in your plumbing system. 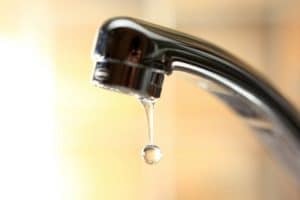 If you’ve noticed a trickle of water that slowly grows stronger, or a sudden gush of water, then you’ve got a pretty obvious burst pipe. But sometimes a pipe will burst in a less-noticeable location and the first signs will be the spread of water across a ceiling or wall. Call Bargain Plumbing and Heating as soon as you notice a burst pipe or spreading flow of water. You will probably need to turn the water to your house off at the main until our team of professional plumbers arrives. Unfortunately, plumbing does not last forever. Your plumbing is used multiple times everyday. Because of this, your fixtures or pipes may begin to deteriorate over time. At Bargain Plumbing and Heating, we offer repiping services that will help replace your old worn pipes quickly and at unbeatable prices. Call us today at 304-923-2013.